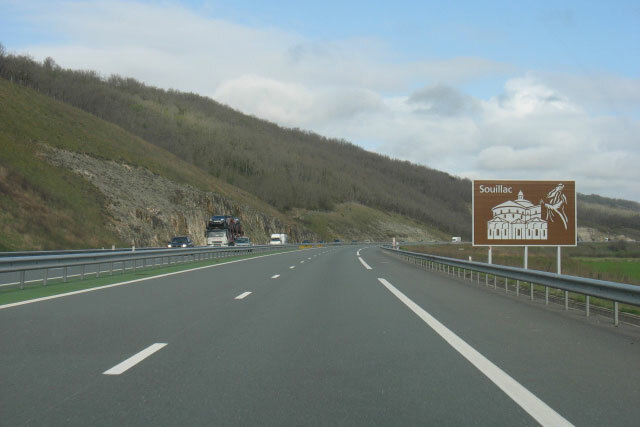 Souillac is located in the north of the Lot department, which is part of the Occitanie region. Souillac is on the border of both the Dordogne department and the Corrèze department. The ‘Lot’ department and the ‘Dordogne’ department are often referred to with their old (pre-Napoleonic) names, the Quercy and the Périgord respectively. Souillac has a railway station where the train between Paris and Toulouse halts daily. The airport ‘Brive Vallée de la Dordogne’ lies at 10 km from downtown Souillac. There are daily flights to Paris and many other French cities. There are also flights to London, but unfortunately none to Brussels or Charleroi (yet).